Jewish Lights Publishing, 9781580234221, 135pp. The hilarious, action-packed plot draws on classic Jewish folktales, Talmudic teachings and the timeless wisdom of the wise men of Chelm. 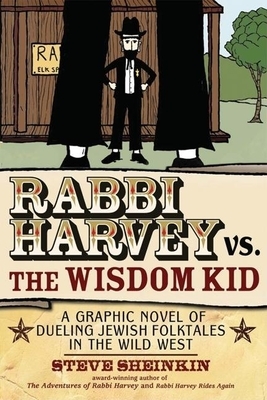 As always, Rabbi Harvey protects his town and delivers justice, wielding only the weapons of wisdom, wit and a bit of trickery. He also gets a bit of help from Abigail, the town's quick-thinking school teacher--a woman, it appears, who just may have captured his heart.